Black Friday might be over, but that doesn’t mean good deals are nowhere to be found. In fact, Amazon discounted Bungie’s Destiny 2 for PlayStation 4 and Xbox One down to $25, its lowest price point yet. Destiny 2 is one of those rare experiences that continues to surprise me the more I play. While I wish that more carried over from my years with the first game, my Awoken Warlock had a good reason to start from the beginning and work his way up to a truer badass than he once was. 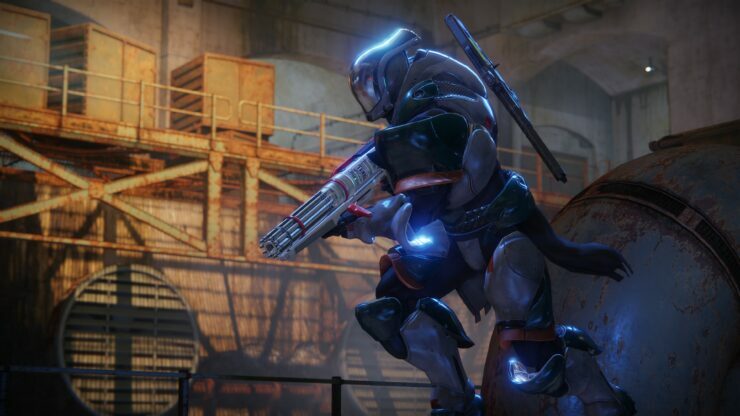 From the opening moments to long beyond taking out the head of the Red Legion, there’s so much new and refined content that no players should walk away from Destiny 2 wanting more. Whether you’re in it for the PvE content and raiding weekly or rolling with a fireteam in the crucible and hitting the top of the PvP ladders, there’s something for everybody. This is simply Destiny at its very best and you’re going to want to bring some friends along for the afterparty. South Park: The Fractured but Whole, on the other hand, can be purchased for $30. In his review, Kai praised it for going even darker and cruder than TV show fans are used to. Would I recommend The Fractured but Whole to someone that’s a longtime fan of South Park? Absolutely. The entire town is filled with pop culture references and little winks and nods to even the less notable events in the show’s history. Thanks to Ubisoft’s Snowdrop engine and the creative teams putting it to use, The Fractured but Whole captures the look and feel of the TV show right down to the most minute details. This is South Park at its most crude, yet the make-believe superheroes and roleplaying combat transcend genres to create a masterwork experience that’s an absolute gas to play. Speaking of deals, here’s a bonus one for RPG fans who own an Xbox One: Pillars of Eternity: Complete Edition can now be purchased at just $19.99 on Amazon. It’s well worth it as pointed out by Francesco in his review.